Last minute schedule changes and associated seed juggling meant we came into the weekend seeded at the top of B Tour, above a couple of teams that were probably a bit surprised to see us higher than them. Our pool remained pretty similar though, with JR and Fluid being our two opponents. We started against Fluid, not a team we knew loads about, but by the time the game started we realised we were up against a couple of familiar faces. As the game got under way the rain started to come down and it played into the hands of their zone D as we made some errors and gave them a bit of a lead. As the rain stopped though we regained our composure and fought our way back even. From there the momentum carried us to a 15-8 win despite the game feeling closer than the score line suggested. After a game gap our second and final pool game was against JR, who were coming straight off their game vs Fluid. We took advantage of the rest we’d had and got a few points on the board early as their switching on D was yet to really get going. Once they settled into the game though they made us work for it, but by the second half their heads had dropped and we took the game away 15-5. That meant that we had topped the group, meaning we were crossing over against the second place team from another pool. The pool we were crossing with had finished in a three way tie meaning we were drawn against BAF to make it into the top 4 and earn a shot at A Tour. They were clearly very fired up as our game started, which combined with our relatively comfortable morning meant they had the mental edge in the first period of the game and took a commanding 1-5 lead. From there we battled hard and – despite plenty of stoppages affecting the flow of the game – we began to slowly claw back the deficit. We never really recovered mentally from our poor start though, even though physically our play improved; ultimately we had left ourselves too much to do and we ran out of time as they held us off to take an 11-13 win. It was a tough way to end the first day as we didn’t feel that we had really shown what we were capable of in that last game. The only thing we could do now was to regroup and win our three games on Sunday to show the level we wanted to be playing at. As B Tour was only 12 teams the middle bracket of 4 was to be played as a round robin, meaning our first game was a rematch against JR. We knew that the game on Saturday was a one off and they wouldn’t let us have anything easy, and it proved to be the case. Each time we got a break and looked to have the momentum on our side they pegged us back and kept fighting. We continued to keep pushing though and eventually got the breakthrough that saw us to a 14-11 win. Next was Vision, and after our tight game at Tour 1 we knew we could expect another tough game here. We started well and got a small lead early on as they had a couple of miscues on their long shots. As we had the lead we knew we needed to keep scoring our O points because they would start to find their game, sure enough they started to connect as we struggled to contain their range of hucks. Fortunately though we still had a lead as time started to run out, and as their desperation levels rose we kept calm to fight off the final charge and close it out 15-11. The final game of this Tour season was against The Brown, not a team we have played a whole lot before. The game started with a familiar ‘last game on Sunday’ feel to it as neither team were able to play with much energy. They were playing zone D despite the relatively calm conditions and it played into our hands as we walked it up the pitch whilst conserving the little energy we did have left. When combined with a few unfortunate turnovers from them, it allowed us to open up a 6-0 lead before they started to come back into the game. The second half was a much tighter affair and both teams fought hard, but our good start meant we had a healthy cushion to rely on and we saw the game out 15-6. 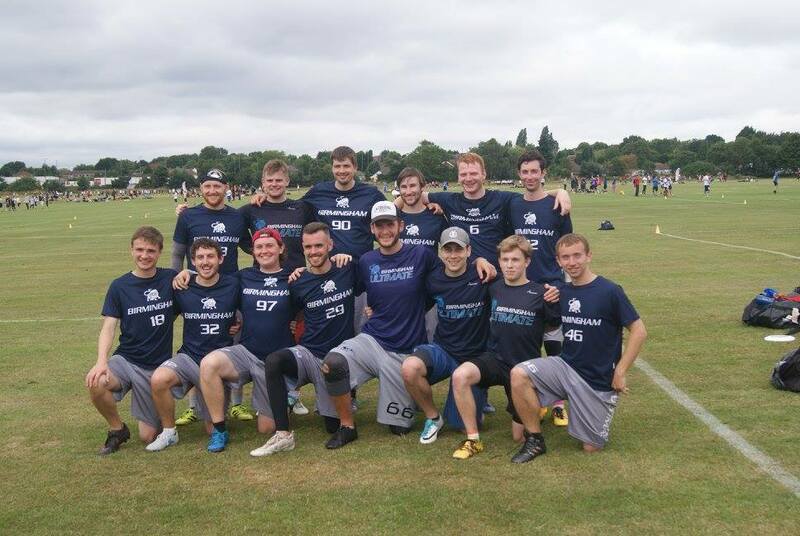 It had been a very enjoyable day of Frisbee to finish off the Tour season, but still with a hint of disappointment that we weren’t a little higher up the rankings because of the last game on Saturday. Overall though it has been a great season for us, going from total uncertainty about where we would land after a lot of changes from last year, to finishing solidly towards the top of B Tour at all three events. Full results from Tour 3 can be found here.